Our Company has been providing payroll and tax compliance services to companies.This Software delivers flexible tools for managing core human resources (HR), payroll, time and attendance and absence management. Since Payroll Software uses a centralized database, once employee information is entered into the system, it is immediately available across all modules. By automating workflows, this software reduces time-consuming payroll tasks, eliminates paperwork and provides an electronic audit trail for all data changes. Their robust standard and customizable reporting tools allow HR professionals to focus on strategic activities. 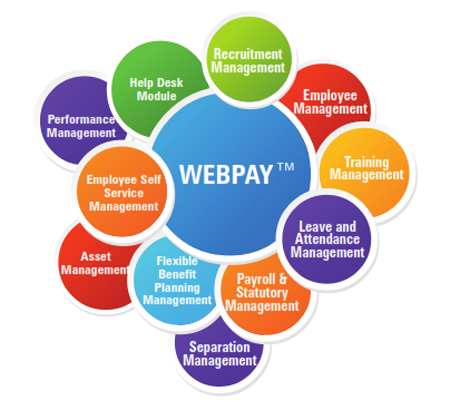 Payroll Software is very simple, flexible and user-friendly Payroll Management software takes care of all your requirements relating to accounting and management of employees’ Payroll. It stores complete records of the employees, generates Pay-slips and Attendance Register, Computes all allowances and deductions and generates all Statutory and MIS reports. Our Products are designed keeping complex requirements of various industries. Solutions are periodically improved on valuable feedback from end-users keeping the need of evolving environment. Payroll Software is designed to have minimum input and maximum output concept built in to it, wherein apart of vast standard report module, user can design their own reports for critical management MIS which requires on periodic basis.